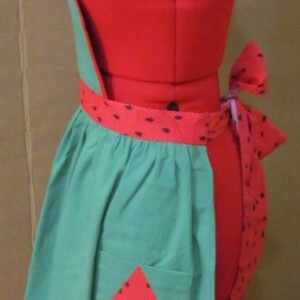 This watermelon apron is made of cotton fabric, with a bib over the shoulders and ties around the waist. 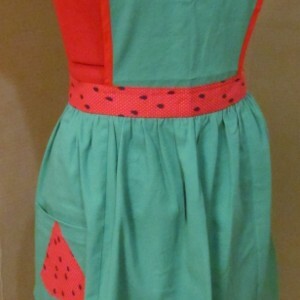 This is made to fit an average size woman. 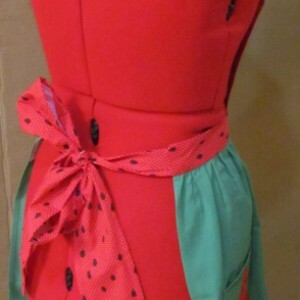 To place a custom order, send me a "note from buyer", and it will cost $25 plus extra fabric required. Ask me for a quote.